Rifle shooters of all kinds like to peg nice tight groups at the range. But there are some misunderstandings about those groups and what they mean for our long-range shooting. Ballistic can be a huge help here, assisting us as we work to tighten up those groups and get us ready for long-range competition and hunting. 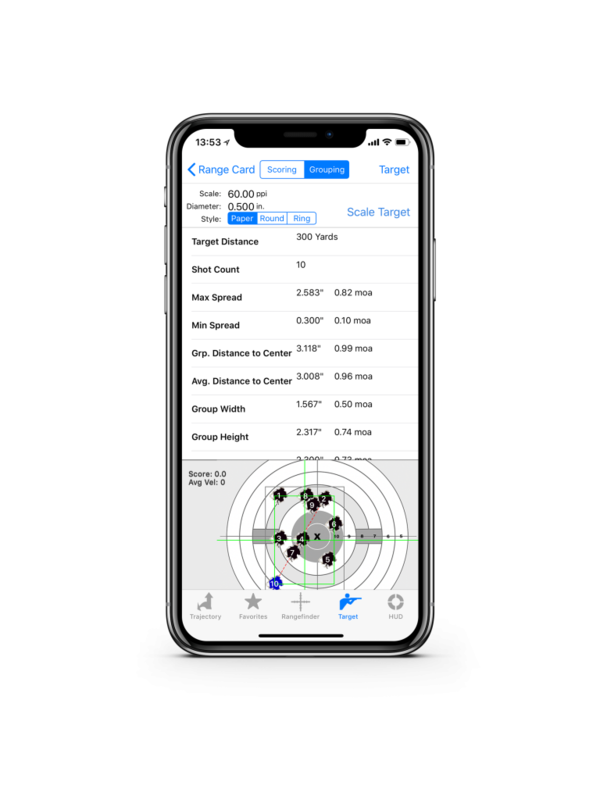 Let’s say you’re at the range with a new rifle or load and are shooting at 100 yards, after a 30-yard zeroing. First shot gets close to the bullseye, but the next one is four inches to the right. Then two shots strike way left, and the last one apparently didn’t even hit paper. What the heck’s going on? If your bullets are hitting all over, plug the bullet’s weight and length, plus the twist rate of the barrel, into Ballistic. In your Ballistic Solution, “Miller Stability” is listed below the Zero Altitude data point. Refer to your ammunition manufacture’s twist-to-bullet-weight recommendation for loaded ammunition or your bullet makers recommendation for reloading. Mechanical reasons will cause errant shots, too. A loose optics mount or loose scope rings are common culprits. A rifle barrel that is resting on a support can generate bad harmonics which will also throw off shots. And a very dirty barrel is no help, either! 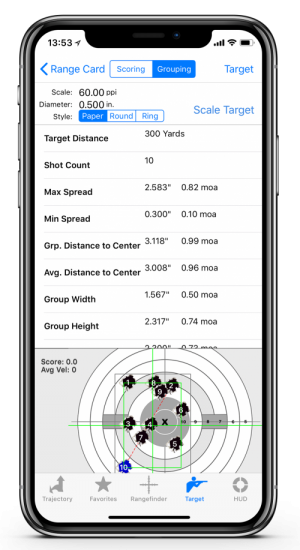 Ballistic can make your groups tighter, your practice time more efficient, and those long-distance hits very achievable. « The Year That Was – And The Year That Will Be!